Find out more about Faces and Smiles here. Meet the team, download our policies or see upcoming training events. If you have any questions please contact your local clinic. This area contains useful information for dentists or dental professionals. These are typical conditions many of our patients have treated. Everyone is unique, so if you have something you’d like to discuss with us, why not contact us for a free consultation? Tooth-colored fillings, or 'white' fillings, are known as 'composite' fillings and are made from a putty-like resin-based material. These are lifelike and long lasting. 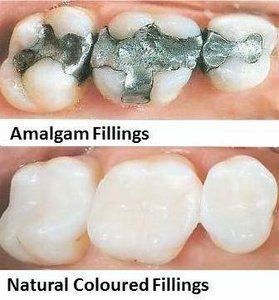 Currently the most popular cosmetic dentistry procedure, these types of fillings are a great alternative to black or silver amalgam fillings. Made from a putty-like resin-based material the filling can be molded to the exact shape of the tooth and set using a visible blue light. White fillings are made from a very durable composite material that is bonded to your teeth. No, white fillings are made from a very durable composite material that is bonded to your teeth. This material has undergone years of research and development in both composition and technique and has proved to be very long lasting. Generally, fillings are not a painful procedure. However; a local anaesthetic may need to be administered depending on the depth of the cavity. Call now for advice or to book a consultation. Or leave us your details and we'll get in touch with you. Spread the cost of this treatment. With interest-free finance available, you can spread the cost of your treatment to suit you. Book a consultation now for more information on how we can help you with Cosmetic Fillings. We offer a range of non-surgical treatments delivered by medical professionals to target problem areas. Get a straighter smile with our most popular, discrete brace. Find out why over 4 million people trust Invisalign to straighten their smiles. Bleeding, inflamed our receding gums? Find out how we can help you now. Missing Teeth? Our dental implant team can transform your smile. World-class facilities staffed by industry-leading professionals can help you get a smile to be proud of. Discover our tooth-whitening options for healthy-looking white teeth. Snoring can make life a misery. We have an implant solution that can transform your sleep - and that of those around you! Stay on top of your oral health to stop problems before they start. Discover our general dentistry services. Salvage and repair an infected tooth. Find out more here. Natural-looking cosmetic dentures that look great and stay put. © 2017 Faces and Smiles Ltd. Web design by FurtherMore Marketing Ltd.